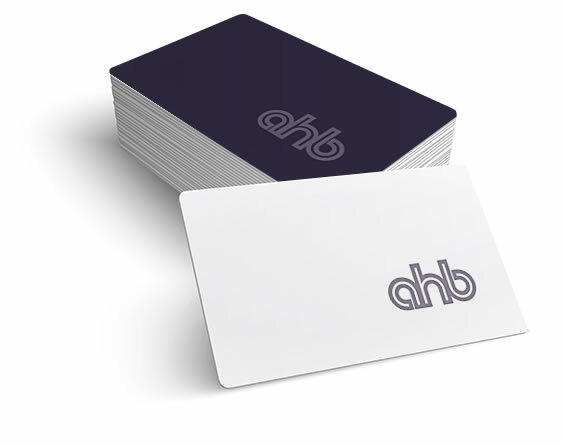 AHB Australia is an established homebuilder with a range of home designs that they offer directly to their clients (marketing groups). They have built over 10,000+ homes in the Melbourne region. 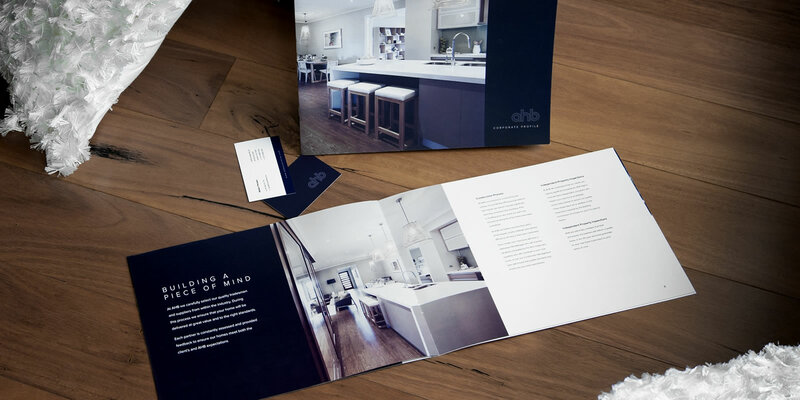 AHB Australia initially engaged us to revamp their brand and to design and produce all print marketing material and brochures. This relationship continues today and we have just been commissioned to design and develop their new website. 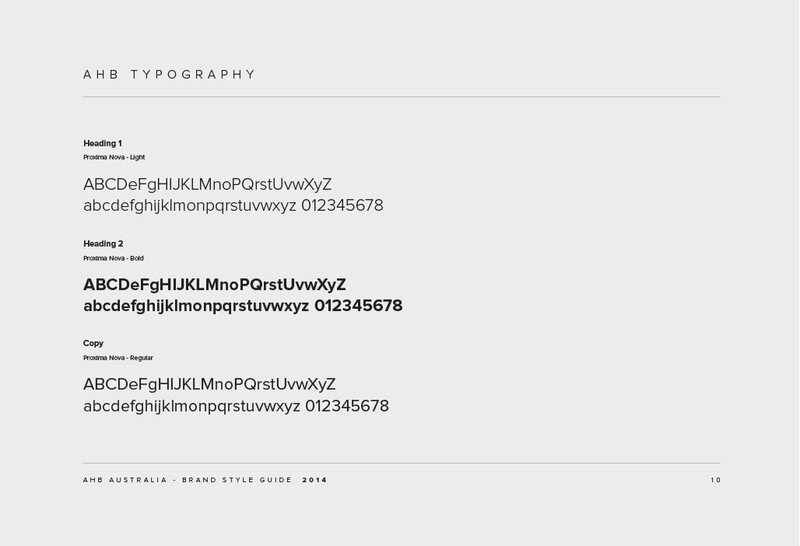 We revamped their logo, created all branding collateral such as business cards, letterheads brand style guide. 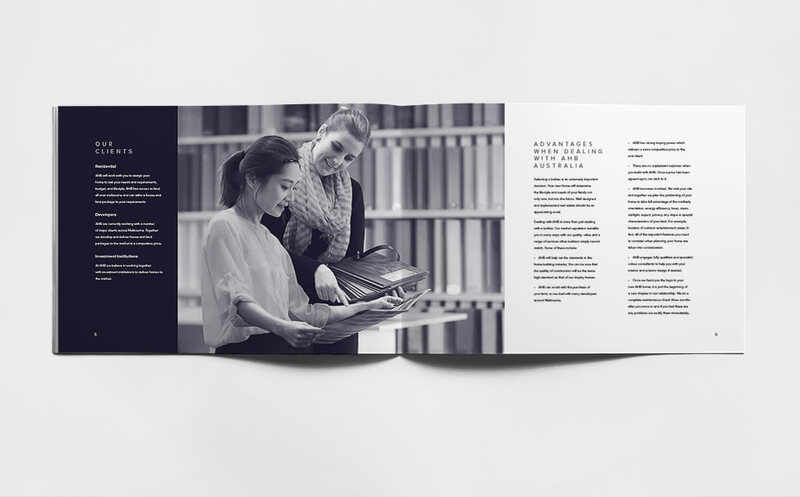 After revamping their brand identity, we designed and printed a 10-page corporate sales brochure. We have also created over 20 different print collateral documents, from house and land packages to advertising designs. 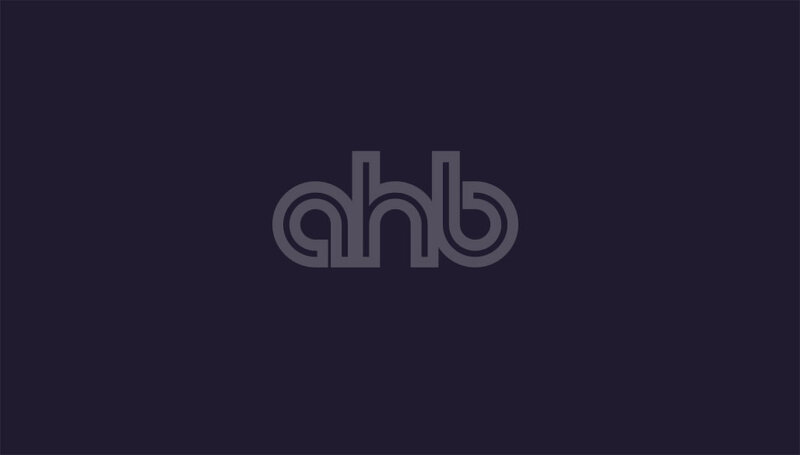 AHB Australia is essentially a wholesale builder and as such, they do not deal with the public. 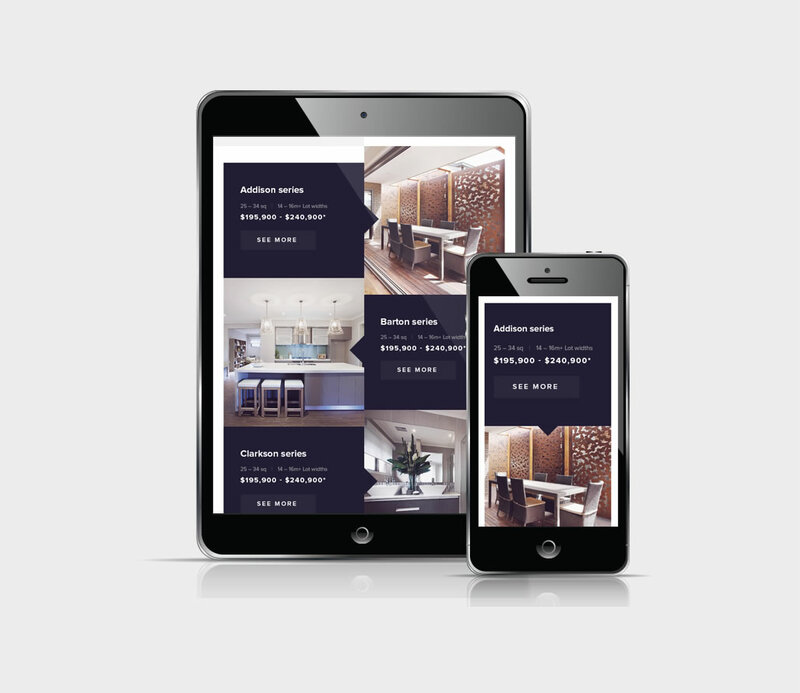 Because they only sell directly to marketing companies, the website needed to be a corporate profile with ability for ‘clients’ to login and view home designs. Because AHB Australia is strictly a B2B business, and wanted their clients to login to the site, we recommended an open source platform solution: WordPress CMS. We custom designed the entire website to create a unique look and feel that fits both their brand and business requirements. 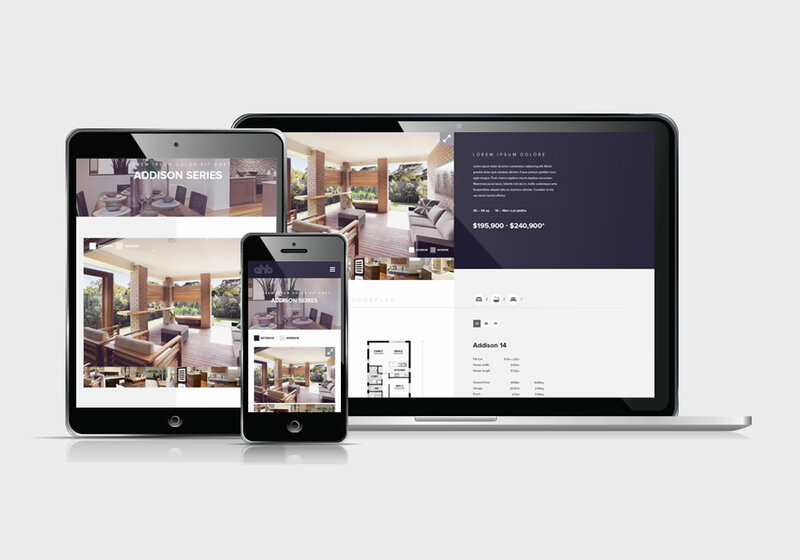 A professional responsive user interface design was created with a content management system behind it. Being a wholesale builder as such, they required some information to be hidden and only accessible to certain partners. 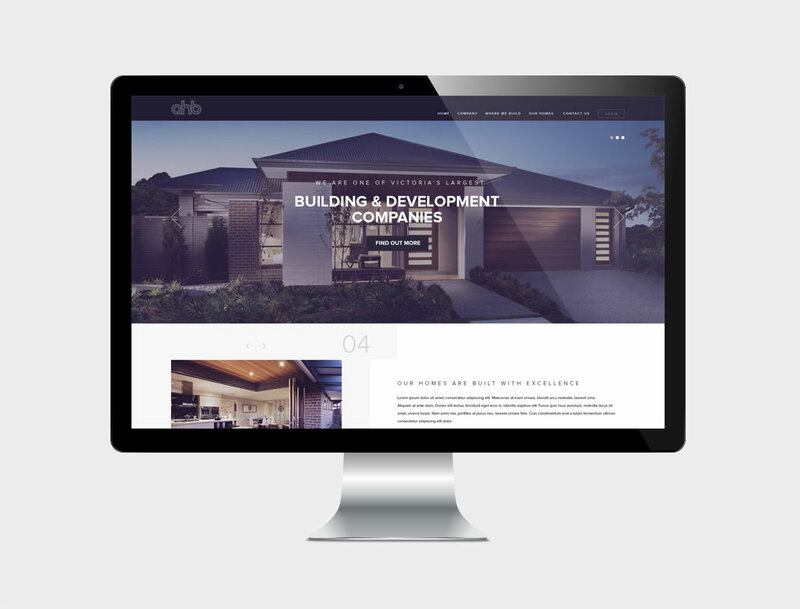 We extended onto their content management system and provided the solution they required via a customer login area, which allows AHB Australia to provide user login details to specific partners to be able to show potential buyers confidential information. Being apart of the entire brand and website design/development and understanding the entire vision for the brand. 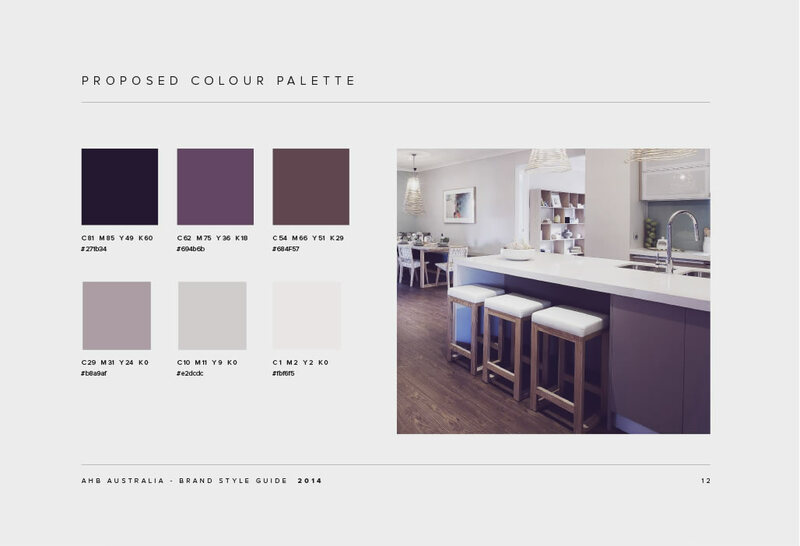 AHB commissioned us to look after their staff photography and videography of their display home and staff.